In this post, updating you about a luxury spa treatment option near Bengaluru, at Art Of Living's campus. You’ve heard of presidential suits in star hotels and you’ve heard of centres that provide health treatments like ayurvedic massages. Have you heard of a place that clubs both? Ultimate luxury and privacy coupled with best of ayurvedic treatments- presenting the Panchakarma Spa Villa by Art of Living. 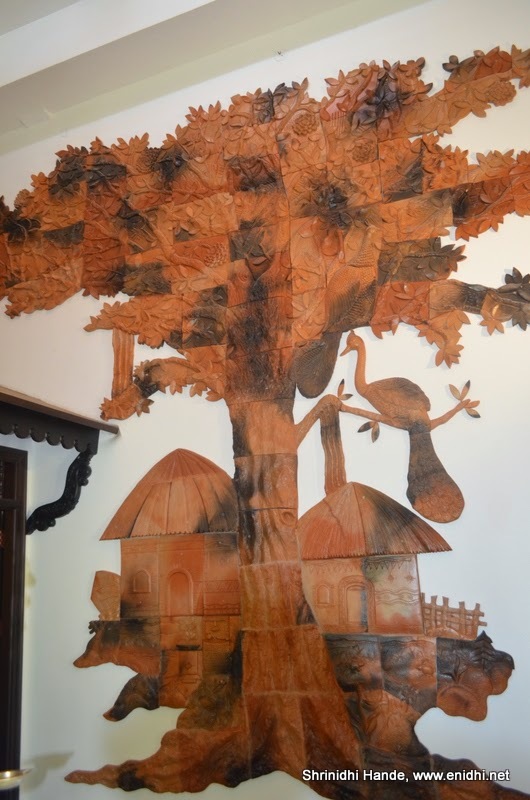 Panchakarma is Art of Living’s Ayurvedic treatment unit. [More about it in a separate post] For the benefit of their elite guests, who prefer lots of privacy and personalized services, luxurious Spa villa provides best of accommodation and health services under one roof. What this means is that guests do not need to come out to the Panchakarma centre and wait like regular customers. Staff would visit the villa and provide treatment there. Similarly food is supplied to the villa. It is kind of a private haven of peace and tranquility. I didn’t stay here- but I was shown around- spent an hour in Panchakarma Spa villa campus checking out its uniqueness. 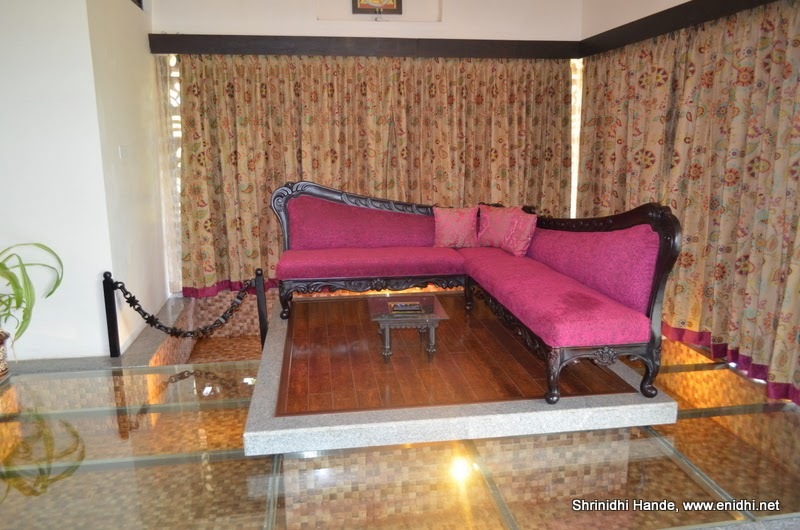 Below are some unique facilities at AOL’s Panchakarma Spa Villa. A full-fledged villa accommodation with private garden, tree house, two bed rooms, living room, a massage room and a panoramic bathroom with waterfall theme. Prominence of water: Spa cottage has flowing water in many places- outside there're two foutains and a waterfall, as you enter you will notice water flowing next to the walkway, living room has water running around it and in the main hall, water flows continuously on the glass walls. Bathroom is epic with a giant glass wall (Can be closed for privacy or can be kept open as there won't be anyone outside anyway) that offers scenic view of a pond and live waterfall, while shower itself is designed such that it gives a waterfall effect. A live coconut tree makes it even more natural. Some resorts in Kovalam also offer such an ambiance in bathroom. 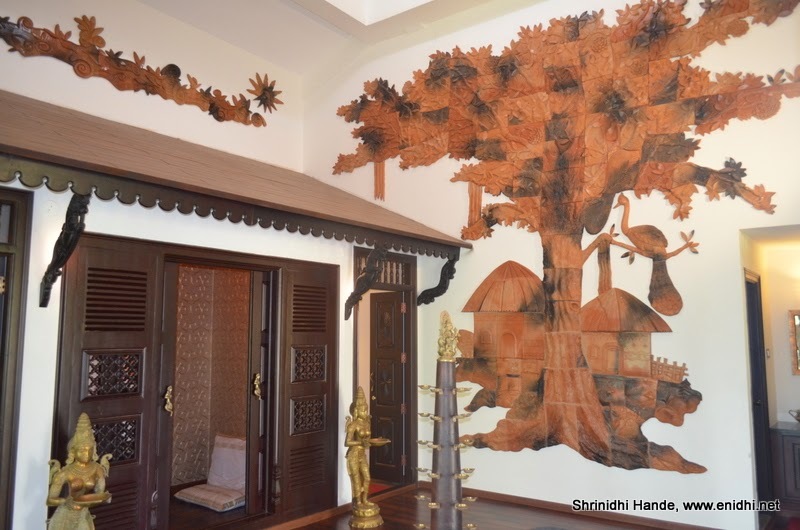 Meditation place in Panchakarma Spa Cottage is designed with the theme of Bodhi Vriksha- under which Lord Buddha got his enlightenment. There is no kitchen. Food is brought in from Panchakarma’s kitchen and served on the dining table. As luxurious and comfortable the spa cottage is from the inside, it is as scenic and natural on the outside. There's a live waterfall, tree house, lots of trees, chirping birds and lots of greenery all around, aiding in relaxation and detoxification. How much does Spa Villa cost per day? Of course a luxury like this comes at a price. Middle class folks like you n me won’t be able to afford it. Staying here at Panchakarma’s Spa Villa costs upward of half a lakh rupees a day (USD 800+ per day), depending on duration, nationality, package and other details. Services of Spa Villa is availed by celebrities, statesmen, ambassadors and such elite class. Do check with Panchakarma folks for details. Your passion for travel has taken you to many different places I guess and this is one of those paradises I presume. The Spa seems really serene and amazing to spend a getaway. I’ve always wanted to visit such places. 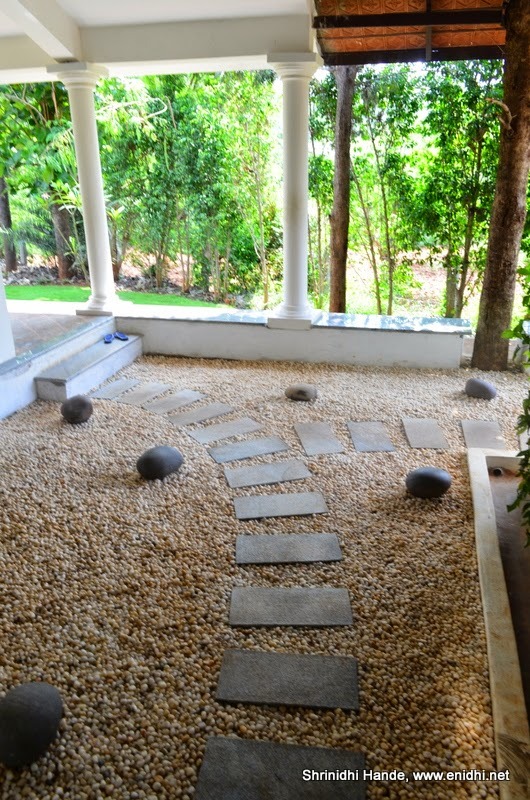 Of everything, the slabs studded among the white pebbles that make a path out there in one of the pictures is my favorite.